We’ll have a full review of the film, which stars Dan Stevens as a mystery man who goes undercover to rescue his sister from a blood-obsessed pagan cult, tomorrow. In the meantime, we’re exclusively debuting Evans’ original sketches for two of the medieval torture devices featured in the film. They’re straight out of the Spanish Inquisition, and you can squirm at all the bloody possibilities below. 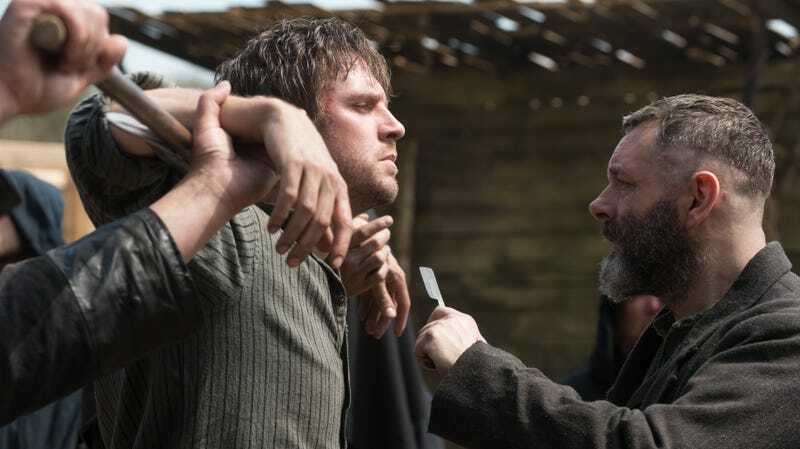 Apostle debuts on Netflix on October 12.